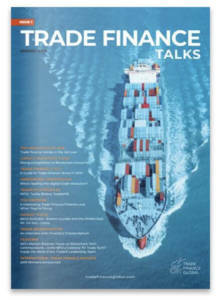 At Trade Finance Global we get asked numerous questions around Letters of Credit, so we’ve put together a list of the top questions asked regarding payment times and the presentation of LCs. What does ‘documents accepted as presented’ mean? What does ‘drawn under’ mean? What are penalty clauses in relation to LCs? What is the time limit for an advising bank to pass an LC on to the beneficiary? What is a revolving LC and is it cumulative or non-cumulative? What is a restricted LC? An issuing bank could use the term ‘documents accepted as presented’. Such transactions using these terms are often risky, pointing towards trade-based money laundering. The only requirement under such an expression (which is undefined in UCP600) and as under ISBP A19g), is for the bank to simply evidence that the presentation has been made within expiry and the amount of drawing does not exceed the available amount under the LC. No other examination need be made. Banks will often check points 1, 2 and 4. Regarding 4, the draft would not be examined as a “document” unless (in the absence of an invoice) it is to determine the drawing amount. So, in theory, taking an extreme situation, at a minimum, any one of the required documents may solely be presented (within expiry) and all that is required to be determined is the amount being claimed, and (if we take the ISBP paragraph literally) this need not be from a draft or invoice and instead may be determined from as basic a document as a simple demand. This example shows the danger of such a clause and banks accepting to insert such clauses at the insistence of the applicant without question and without full cognisance of the associated regulatory risks (money laundering, fraud, circumvention of any applicable central bank rules regarding forex purchase, etc). The issuing bank has raised a discrepancy that the words “drawn under” is not mentioned in the documents, hence the documents are rejected. No other discrepancy in the documents. Is this a valid discrepancy? meaningless additional conditions in field 47A which only confuse beneficiaries, etc. In field 39A of ICC documents, it mentions allowed tolerance of a +/-10% of the LC amount and in the additional conditions are presented clauses of penalty relevant to the quality specification of goods. The application of these penalties makes the LC underdrew in respect of field 39A. Is the underdrawing due to the application of penalty clauses considered a discrepancy? It is generally accepted that the application of the penalty taking the invoice value below the LC tolerance is acceptable, providing the commodity quantity is within the tolerance. This is on the assumption that the LC shows a unit price per metric tonne, as well as the details of the penalties to be applied. As long as the quantity is within the tolerance and both the unit price and the penalties have been applied correctly in the invoice, then there is no discrepancy. Having said that, many such LCs do have the additional condition that underdrawing as a result of the application of the penalties is acceptable, so it would be wise to ask for that. There is no time limit in UCP600 for an advising bank to actually pass the L/C to the beneficiary. Many advising banks send the L/C to the beneficiary by email only. With the vast majority of L/Cs being transmitted by SWIFT it makes sense to continue the electronic transmission concept between advising bank and beneficiary. This is why it is hard to understand why some issuing banks require the presenting/ negotiating bank to note drawings on the back of the L/C, very hard to find the back of the electronic transmission. A letter of credit is considered officially advised as requested by the issuing bank when the requested bank sends its officially signed letter accompanied by the original operative letter of credit to the beneficiary. In recent years, the practice in the US, to avoid unnecessary expense and also error is to attached the transmitted SWIFT letter of credit transmission it has received to a covering letter stating that the copy is to be considered the operative instrument. Further to this, I should like to add that US commercial code essentially states that a bank has fulfilled its responsibility when it dispatches or mail the operative letter of credit to the beneficiary and the beneficiary on the other hand officially has an operative letter of credit when it receives it. Most large US global banks have mandatory internal guidelines regarding the recording of the transactions on the back of the original letter of credit for everyone in the LC Operation Area to be aware of to be able to handle the processing of the transactions transaction i.e. original amount, increases in amount, extension of expiration date and other significant information. These banks receive hundreds of letters of credit a day and different operations people are involved in handling different transactions. These procedures are in place to avoid the mishandling of transactions considering the volume of LC business that these banks handle. In smaller banks, they probably do handle the transactions a bit more loosely than in larger banks. 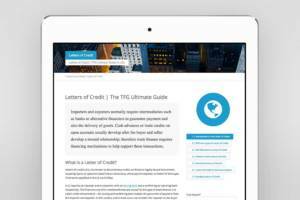 It is also important to mention that most global banks in the US have procedural guidelines in processing letters of credit such as the advising and confirming of letters of credit and practically all aspects processing the transaction. For example: As a general rule, all LCs to be advised or confirmed must be processed and forwarded to the beneficiary within one day after the receipt and clarification, amendment, authentication or approval. Additionally, these LCs are subject to current UCP rules, reviewed by senior LC staff, all issues have been clarified, etc. If the LC is stated to be revolving, the wording of the LC will state the manner of the revolution and the number of times that it may revolve. The LC may revolve by amount, or by a factor of time (on a cumulative or non-cumulative basis). For the purpose of the discussion, it might be useful to provide some simple examples. An example of an LC revolving by amount would be if say, a revolving LC is issued for the £1,000, and a drawing is made for say, £900. After the drawing, the amount available is restored to £1,000. An example of an LC revolving by time on a cumulative basis would be if say, a revolving LC is issued for the £1,000, and available by drawings of £1,000 per month. A drawing made for say, £900 results in the next month’s availability to be for £1,100. If available by time on a non-cumulative basis, a drawing made for say, £900 results in the next month’s availability to remain as £1,000. In this case, care must be taken that Art. 41 of UCP600 is excluded. 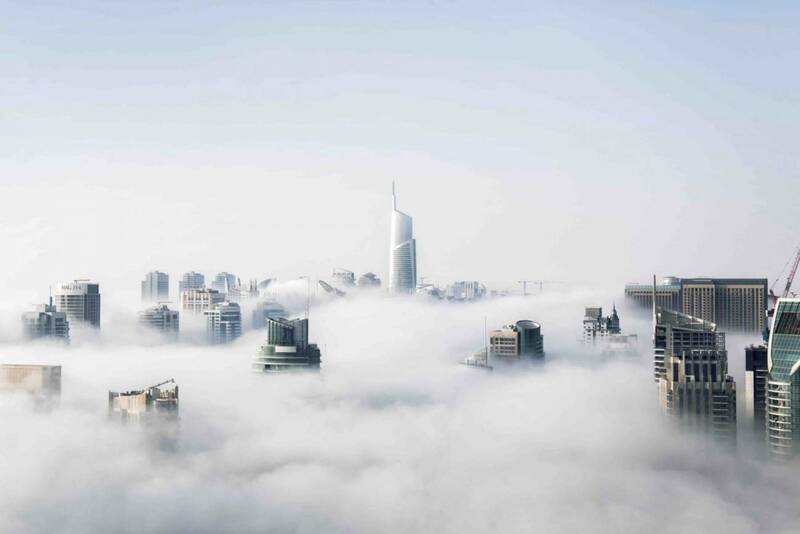 A revolving LC simplifies the process where the buyer and seller are contracted under a long terms payment process, under a regularly fixed shipment of goods over a period of time. It takes away the bank’s (and the applicant’s) administrative burden of having to apply for lines of credit each time a particular is fulfilled. The applicant may also be able to negotiate preferential fees with the issuing bank. 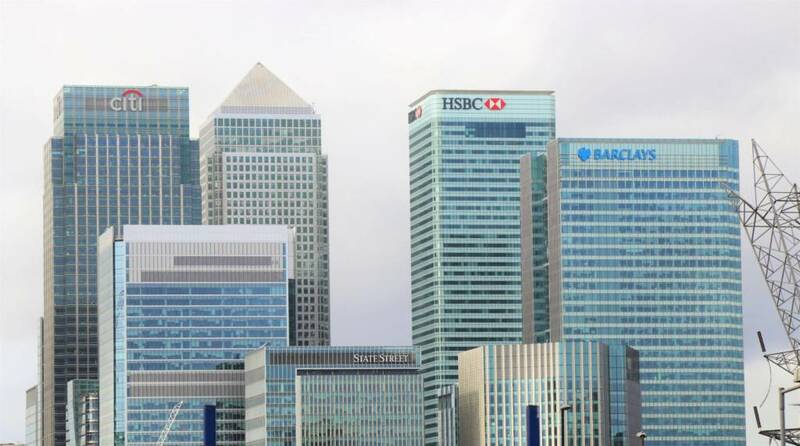 However, the bank is likely to have to accommodate the total aggregate as an off-balance sheet item, and depending on the size of the bank’s capital this may constrain the bank in being required to maintain an adequate capital adequacy ratio. In the above example, the LC is initially issued for GBP.1000 with monthly shipments. If one were to assume that the validity is 12 months, the issuing bank is committing to honour total drawings up to GBP.12,000. As long as the bank is okay with this exposure on the applicant and as long as the reinstatement clause is worded carefully, a revolving LC works fine for all the parties by reducing the paperwork. But an improperly worded reinstatement clause can play havoc. There was a case long back in India where the beneficiary is a public sector monopoly insisted on (i) automatic revolution as soon as the documents are submitted at the negotiating bank counters (ii) all discrepancies acceptable (iii) no shipment schedule and – hold your breath! (iv) no cap on total drawings too. I need not elaborate on what finally happened – the issuing bank was left with a huge liability that was far more than the applicant’s capability. Lessons learnt included (a) incorporation of a total drawing clause – to cap the issuing bank’s liability,(b) reinstatement by issuing bank – so that the issuing bank knows its liability at any point of time and (c) shipment schedule – so that there is no bunching of liability that will choke the applicant’s cash flows and land the issuing bank in trouble too. In the case of a restricted LC, what is the exact procedure that should be followed by a Beneficiary’s bank which is not a negotiating bank? They should simply present the documents to the Negotiating Bank requesting payment/ acceptance as per the L/C. They could tell the beneficiary to present the docs direct to the Negotiating Bank themselves with instructions to pay their own Bank thereby saving time and potential charges. It is also worth emphasising that a non-nominated bank enjoys no additional protection to that enjoyed by the beneficiary. The bank may offer a document examination or handling service but unless the bank has added its “silent” confirmation, the beneficiary has limited recourse against such bank, including risk of dishonour by the nominated bank (notwithstanding that the beneficiary’s bank may have deemed the presentation to be in order) and loss of documents in transit between the beneficiary’s bank and the nominated bank.